2. How long has SmarTravel been around? 3. What exactly is the sweepstakes that is offered? 4. What's the office visit like? 5. May I audio or video record during my office visit? 6. Where can I go on vacation if I purchase a SmarTravel vacation package? 7. What do I have to buy? 8. What is the promotional gift you receive for attending the presentation? 9. What are the age requirements for the travel promotion? 10. Is the cruise certificate transferable? 11. Do you still have questions? 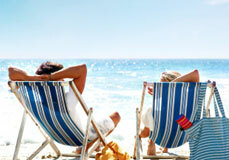 SmarTravel is a travel company that sells great vacations by the week, at wholesale prices. With numerous vacation destination options across the U.S. and in the Caribbean, SmarTravel makes vacationing obtainable for families of any size, on any budget. Accommodations are available in many resort areas where SmarTravel and its partners own, lease or otherwise have access to lodging. SmarTravel was started by Ohio businessman and community leader David Wise in 2001. Since then, the company has grown substantially and helped tens of thousands of families embark on quality, affordable vacations. 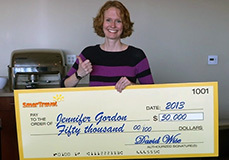 SmarTravel gives away a grand prize of $50,000 or a luxury vehicle up to $70,000 MSRP to a lucky individual every year! It’s free to sign up, but you must be at least 21 years old to enter. Video of 2013 winner coming soon! Click here to see the video the 2012 winners! Click here for more information to enter the drawing & previous winners! Click here to read the legal documents. No, in order to ensure the privacy of our customers, personnel, and proprietary business information, audio and video recordings will not be permissible without the company’s authorized consent. Nothing! You are under no obligation to neither spend any money nor purchase a travel package with us. Qualified guests who attend our presentation are offered a promotional gift as a thank you from SmarTravel for allowing us to introduce ourselves. Also, the gifts are not free because some of the items do have fees and conditions of use. Click here to read all of the terms and conditions. Days-3 Nights Hotel with 2 Round-trip Airline Tickets to Puerto Rico, Cancun, or Jamaica. (approximate value $1,000 – $1,200): Includes a vacation getaway of your choice to Cancun (Mexico), Montego Bay (Jamaica) or San Juan (Puerto Rico) for a four day and three night stay plus round trip airfare for two (2) departing Saturday through Wednesday from most major or regional airports. Thursday and Friday departure upgrades are available for just $75 per person. This getaway requires advance reservations and is subject to availability. A refundable $198 deposit is required and will be applied to the following charges; government taxes, carrier and agency imposed fees which can range from $104 to $185. You do not pay this refundable deposit on the night of your visit to our office. However, this refundable deposit is required prior to selecting your travel dates. Availability is limited during peak seasons and major holidays which include New Year’s Day, Presidents’ Day, Easter, Memorial Day, Independence Day, Labor Day, Columbus Day, Thanksgiving Day and Christmas. Peak seasons may vary from location to location. Travelers must be 21 years old in order to utilize the travel promotion. Travelers under the age of 21 must be in the same room as a parent, relative or guardian 25 years of age or older. 10. Is the travel certificate transferable? The travel certificate is transferable as long as it has not been registered. We are happy to help! Submit your question on this form and we’ll get back to you as soon as possible. If you are already a SmarTravel client who has a question about your package, please call our customer service line at 1-888-731-5327 for account questions. For questions about an upcoming appointment with SmarTravel, please call 1-800-355-4300.